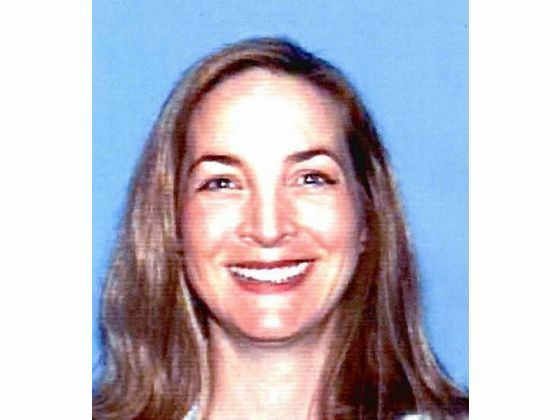 News station KTLA has reported new details in the San Clemente, California, murder/suicide on December 14, 2009, involving two little girls, their mother, and their killer, grandmother Bonnie Hoult. Investigators believe that Hoult used her .357 handgun to shoot and kill first her 2 year old granddaughter Julia, then her daughter Elizabeth “Liza” Hoult Fontaine, next her 4 year old granddaughter Catherine, and finally herself after Orange County Sheriff’s Department showed up at the home where they were staying. 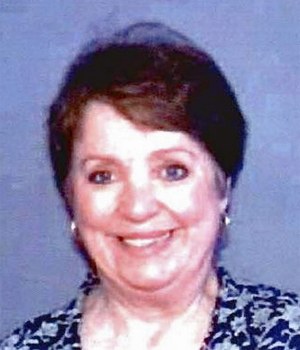 OCSD believes that Elizabeth was holding Julia on her lap as Bonnie put the gun in her mouth and pulled the trigger, meaning that Elizabeth was a willing participant in the murder of both her children and herself. KTLA interviewed Hoult’s step-son, Howard Hoult, who lives in Culver City, California. He told reporter Chris Wolfe that Bonnie Hoult tried to use false child sexual abuse charges against her ex-husband decades ago. He doesn’t believe the sexual molestation accusations against Jason Fontaine. Howard related how Bonnie Hoult was a negative force who exerted toxic influence on his half-sister Elizabeth Fontaine and likely encouraged her to use false sexual abuse allegations against Jason Fontaine. Statements of people familiar with Bonnie Hoult indicate she exhibited behavioral problems typical of somebody with a personality disorder. Personality disorders involve extreme deviations in behavior patterns apart from cultural norms. Many of the descriptions of personality traits of Bonnie Hoult and Elizabeth Hoult Fontaine center around them being very controlling, unwilling to compromise, and prone to extreme reactions. Such personality traits are often associated with the “dramatic, emotional, or erratic personality disorders” including narcissistic, borderline, antisocial, and histronic personality disorders. Howard Hoult, 51, Elizabeth Fontaine’s half-brother, said Bonnie Hoult has behaved erratically over the years. One time, he said, she blasted a hole in the ceiling of a home with a shotgun, according to a story relayed to him by his father. “I would describe her as not being well-balanced,” Howard Hoult said. Elizabeth Fontaine was about 5 when her parents divorced and mostly was raised by her mother in Sylmar, according to Howard Hoult. Elizabeth’s father, Charles P. Hoult – also Howard’s father – now is 76. He is a retired scientist living in Los Angeles. Charles Hoult found out about the killings on his birthday as he recovered from a recent surgery, according to his son. “Imagine hearing that as a birthday present,” Howard Hoult said. Charles Hoult did not return phone calls. According to Howard Hoult, Elizabeth grew up in a fractured household, rarely seeing her father, who worked long hours. Comments from former coworkers of Elizabeth Fontaine at Rockwell Automation and her work as a lawyer indicate she was well-regarded. However, a former acquaintance of the Hoult family indicates behaviors that suggest a narcissistic enmeshment between mother and daughter. I grew up a few houses away from Liza and Bonnie Hoult in Simi Valley. Liza graduated in from Simi High School in 1989. I remember Bonnie being way too protective of Liza when growing up. When we would play together, Liza would always want her own way and if she didn’t get it ….. would call her mom into the room to either send my sister and I home or would bully us in doing what Liza wanted. I am always shocked when I hear stories of this nature. You are supposed to love your children more than you hate your ex. I cannot say I not surprised to learn that Bonnie would do this. I felt she was a little crazy. They are used to getting what they want. It was either their way or the highway. Elizabeth Fontaine may have developed a personality disorder from being a victim of parental alienation. Many personality disordered people can excel in the workplace while their family relationships are dysfunctional and even disastrous. It’s also not uncommon for alienated children to learn abusive behaviors and emotional manipulation tactics from their harmful parent and then to apply them to their own children as part of the cycle of child abuse, much as she was attempting to do against father Jason Fontaine. The murder/suicide occurred shortly after a family law court ordered the two children into the custody of a paternal aunt, Stephanie McLaren, amidst continuing but unsubstantiated accusations of child sexual abuse against the father, Jason Fontaine, and behaviors from mother Elizabeth Fontaine that are clearly consistent with possible parental alienation and indicate an elevated risk of parental abduction. Jason was investigated and no physical evidence was produced. He was never charged with a crime. Elizabeth couldn’t accept that. Jason’s attorney, John York, believes that Elizabeth truly believed her accusations even though he believes that they are entirely false. The phenomenon of sexual abuse allegations in divorce (often abbreviated as SAID) is a disturbing reality in child custody battles today. Frequently a parent who is unwilling to accept shared child custody will resort to making sexual abuse allegations against the other parent, just as Elizabeth Fontaine did to Jason Fontaine. Often these parents making such false allegations are mentally ill, typically suffering from a personality disorder or other mental impairment that makes them unwilling to compromise and possibly even unable to acknowledge and accept reality. As the hearing progressed in Orange on Monday morning, Elizabeth Fontaine presented the new documents that suggested her daughters were molested by Jason Fontaine. Fontaine and his lawyer could not be reached for comment. How the accusations are connected to the deaths is still unclear, like so much about molestation allegations heard in custody battles in Orange County Family Court. In general, estimates for how many of such accusations are true range from 40 percent to 80 percent, said John McLaughlin, a former Irvine police officer whose firm does family risk assessments. Of the 400 cases he’s been involved in, “around 40 percent are false accusations,” McLaughlin said. As the Fontaine case unfolded over the past year, Schulte didn’t see any danger in allowing Jason Fontaine unmonitored overnight visits with his daughters while granting primary custody to Elizabeth Fontaine, court records show. Schulte allowed Elizabeth Fontaine to move to Houston, even though her changing testimony worried him, court records show. “It seems to me almost like, um, tactics, when one takes the position… (about) the extreme danger that the children would be in, and when that approach to the issue seemed to be failing, then the testimony is now, ‘We’re getting along wonderfully. We’re going to be able to share the children from 1,800 miles apart,'” Schulte says in court records. There are claims that Elizabeth Fontaine lead Commissioner Schulte into thinking that it was her employer, Howrey Associates at which she was a specialist in intellectual property law, that requested her job location transfer from Orange County to Texas. The reality is that it was her request as part of her plot to get the kids away from their father and re-open her false sexual abuse allegations in a new jurisdiction. She was “court shopping” because the Orange County, California, courts and government did not do what she wanted. The Orange County, California, family law courts are at least partially at fault for this tragedy. Given the acrimonious situation and the difficulty of effectively sharing custody of children at a distance, Schulte should never have allowed the move to Texas in the first place. Then Schulte failed to order safe custody transfer orders that were necessary given the highly volatile situation that was ripe for a parental abduction. While the murder/suicide scenario may have seemed hard to anticipate, a parental abduction scenario was not. The murder/suicide could have been prevented by requiring the children to be present in court before the order was made and then transferring child custody using law enforcement officers to keep the peace. This type of transfer is appropriate at the time of custody decisions in cases like this one in which involve an obsessed parent who is flinging about extreme allegations and has already demonstrated a tendency to run away with the children and subvert court authority as Elizabeth Fontaine had done. Elizabeth Fontaine moved the children to Texas, claiming she was going to be able to share custody with Jason. She then proceeded to manipulate the Texas courts into issuing a restraining order against Jason to keep him from seeing the children. Based upon the events unfolding the way they have, it appears reasonable to believe that Elizabeth and/or her mother Bonnie were executing a parental alienation campaign focused on the 4-year-old Catherine to program her to respond to sexual abuse investigation questions from Elizabeth’s paid “experts” in such a fashion that they would accurately conclude she had been traumatized but inaccurately conclude that it was due to sexual abuse. The real trauma likely came from what Catherine’s mother and grandmother were doing to her. Family Court Commissioner Thomas Schulte was clearly not careful enough given the circumstances. But he is far from the only family law court official making such a poor decisions. Family law judges and commissioners in the State of California are poorly educated on how to deal with disastrous cases like the Fontaine case. They are also poorly equipped to resolve them or to keep the children safe, involved with both of their parents, and protected from parental alienation for which they were clearly at high risk in this case. Now two innocent children are dead in part because of the systematic failure of the California courts to deal effectively with extreme contested child custody cases. Misconduct investigations of family law courts are underway in several California counties. The high profile family law corruption case of child custody evaluator Stephen Doyne in San Diego County is regularly making the news. And now the Fontaine family law murder case is being splashed across the world in headlines. Legislators in California should be prepared for a political blood bath during the next elections if they do not start to force the courts to make serious reforms. Looking at the comments in coverage of this murder/suicide story and the Stephen Doyne story in the Orange County and San Diego County media, it is clear that parents are fed up with the abuses and incompetence of California family law courts. That sentiment is shared by parents across the state. Parents are willing to do almost anything for their children. Consider the high number of difficult child custody and divorce cases and complete lack of confidence in the family law courts. That plus the widespread budget and operational problems in California mean that the public voting out of office many members of the legislature and courts is a growing possibility. As an interesting side note to this weird tragedy, Jake Hoult the dog lost his family when Bonnie Hoult shot her granddaughters and daughter to death. After research and help from fellow CL’s, we found out that Jake’s tags were Ca. tags. When I googled Hoult, this came up: http://angiemedia.com/?p=5554 Turns out, poor Jake lost his family that day. He belonged to those sweet little girls that lost their lives that day. Thus, the Califonia tags and last name Hoult. I found that his current owner had posted signs this morning and I called him. He was telling me that he was so happy that I had helped Jake out, because he had already had a tradgedy in his life. jake deserved to find his home. What a life he’s had. I would like to thank all of my fellow CL’s for all of the phone calls and e-mails to help me help Jake. I love it when everyone bands together to help out one dog. JUST ONE. We can make a difference. I knew Bonnie from 1988 to the time she moved to OC. I saw a few times after that move and just before her move to TX. In fact, after I broke up with my fiance, a long time attorney practing in LA county, she dated him until she moved to Orange County. Neither he nor I support the allegationns about Bonnie’s mental health. Worse, he tried my case in his chamber outside of the rules of ocurt and witnesses–even when I was in pro per and was not in chambers. After Thomas Schulte received my motion to replace him–he did recuse himself based on bias and prejudice against me–he went into a long, abuse discussion of my conduct that was awful , that he found he could not be fair and just rubber stamped the previous 3 years of motions. The record does not bear out Thomas Schyulte’s allegations that I abused the system (I wonder if the same could be said in the custody case that ended so tragicly. In fact, it was the other side’s attorney who kept the dissolution in the courts 8 years for our 6 month marriage without children or community property. The other side ran up attorney fees of over $80,000 for the case and Thomas Schultie ordered I pay the fees–without even looking at the fees or the other attorney serving the papers on me. Essentially, Thomas Schulte OC commissioner in family law court just rubber stamped the order that I pay $80,000 without looking at anything and then blamed me for the case being in court so long. When the presiding judge received the case, I was found blameless and my x-husband’s attorney completely at fault. What I am saying is this: Thomas Schulte was not a fair judge. He practiced croneism (sorry if I misspelled the word), and he was extremely abusive and prejudicial to those who he did not like. If he did this to me for a 6 month marriage, what did he do in the child custody case we are discussing. I believe, if one went through the case and got access to the private court memos written by ciommissioner Schulte, you would find the same attitude and behavior against the mother. It is true that both sides had attornies, but I had an attorney also. Nevertheless, commissioner Schulte managed to get around my attorney and continue to abuse me in court and on the record. It is my belief that Thomas Schulte, commissioner (who is about to retire in September 2011) used his chambers to try cases–off the record and out of site. That his past actions were so prejudicial that after my motion to remove him from my case, he agreed that he was prejudicial and despite being paid as a judge, ignored the law and practiced his own prejudical type of law in the Orange County Family Law Court. Please do not misunderstand me, I am not excusing the tradedy that happened, but I can testify that when one has done all one can do legally and still was beaten up by a family law judge who is hired to be fair and is not, that it take a huge toll one one psychologically and makes one feel helpless. Thomas Schulte, Commissioner used the power of his office to abuse many who came before him and he did not follow the law. In my opinion, it was the actions of Thomas Schulte–and I seriously doubt he was fair in the custody case, e.g., Schulte was worried that the case would be tried in Texas court after he made a ruling. If it was, that was not his concern what another juridiction did in a case before them. Schulte took the same stand on issues that were not under the jurisdiction of OC family law court in my case. Had Thomas Schulte just practiced the law as it was written, not make up his own legal rules, not worry about what another state would do if it was petitioned, it may be that four people — two of whom are children–would be alive. Bonnie and her daughter is dead. It is easy to blame someone after death. However, I knew Bonnie, never saw a psychological disorder with her (I am a professional and trained to assess psychological and medical problems), and firmly believe that had Thomas Schulte, commissioner of the Orange County Court been fair in the case and not made Bonnie or her daughter to feel helpless and hopeless, I believe those four people would be alive today. DURING THE 9 YEARS I WAS IN FAMILY LAW COURT ON MY 6 MONTH MARRIAGE, I NOTED THAT ORANGE COUNTY FAMILY COURT WAS A BASTION FOR THE OLD BOYS CLUB. If you did not practice law the way the attorneys/judges wanted you to practice, you were subjected to abuse and threats (in the chambers of the judges). What I have to live with is this: I took no aciton to remove Thomas Schulte from the bench afer the abuse I experienced at his hand–and there were 7 years of abuse. Had I taken the steps to initiate an investigation, it may be that Bonnie, her daughter, and granddaughters would be alive today. I take responsibility for that but after being so abused by commissioner Schulte, I just wanted to heal. However, the story last December brought everythng back to memory. I do with I had started proceedings to have him removed as a commissioner–possibly a fair judge would have tried the case and Bonnie and her daughter would have not felt so helpless and the tragedy would not have happened. It is almost a years since the tragedy. Bonnie and her family are dead but Thomas Schulte still practices and shortly will receive a very nice retirment from the State of Calif for his being a “fair, competent” judge in OC family law court. This is not right; he got away with it and I seriously doubt he loses sleep because he forced two women in to such a situation that they felt they had no other alternatives. The real guilty party is Commissioner Thomas Schulte.